Sponsors | The Neurosurgical Atlas, by Aaron Cohen-Gadol, M.D. The individuals involved with the preperation of this atlas sincerely appreciate the support of the following companies who have in-part made this atlas possible. is one of the most progressive neurosurgical practices in the United States, providing the highest level of specialized neurosurgical care to patients. Their sincere interest in neurosurgical education and generous contributions laid the foundation for this project. is a state of the art surgical equipment manufacturer who has been a leader in promoting neurosurgical education. is a leader and pioneer in the field of optics. They have proven their goal of "enabling science and technology to go beyond what man can see." As a part of their legacy of innovation and advancement in neurosurgical education, they have supported this atlas to its fruition. Stryker is one of the world's leading medical technology companies and, together with our customers, we are driven to make healthcare better. The Company offers a diverse array of innovative products and services in Neurotechnology and Spine that help improve patient and hospital outcomes. 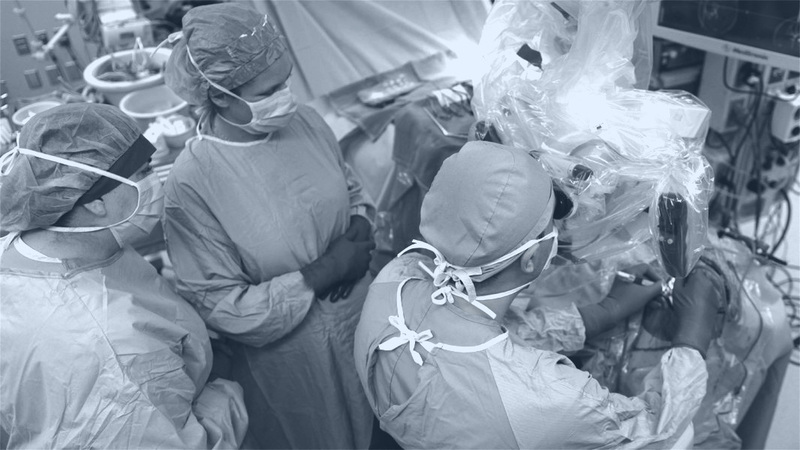 Mizuho has been a leading innovator in collaborating with surgeons to provide the best in neurosurgical devices in order to advance surgical techniques and improve patient health. Integra LifeSciences, a world leader in medical devices, is dedicated to limiting uncertainty for surgeons, so they can concentrate on providing the best patient care. Integra offers innovative solutions in orthopedics, neurosurgery, spine, reconstructive, and general surgery. ABS Med has been a Midwest distributor of quality products for hospitals, surgery centers and physicians offices since 1986. Representatives are factory-trained to bring product knowledge directly to doctors, operating room staff and materials managers. ABS Med, Inc is proud to offer quality state of the art technology for the operating room. OsteoMed is a leading global innovator, developer, manufacturer, and marketer of specialty medical devices, surgical implants, and powered surgical instruments. The company’s success is driven by the ability to quickly develop and deliver innovative, quality products focused on improving patient outcomes and offer technologically advanced, simple, and cost-effective solutions for surgeons, hospitals, and patients. OsteoMed’s state-of-the-art manufacturing facility and world headquarters is located in Dallas, Texas.